Siboney was founded in 1972 as a trucking company in South Bay, FL by Enrique J. Tomeu, Jr. The company's first project involved hauling aggregate construction materials for an Interstate 95 construction project in Ft. Lauderdale, FL. Demand for Siboney's services grew as the company earned a reputation for its responsiveness and ability to meet tough deadlines. Siboney expanded its fleet of trucks to haul bagasse, a residual sugarcane product, from the sugar mills to the Quaker Oats facility in Belle Glade, FL. The company also hauled raw sugar from the mills to a terminal built by the Florida Sugar Marketing Association at the Port of Palm Beach. By the late 1970s, the building boom in South Florida was in full swing and Siboney grew to meet the transportation demands for materials used in the construction of roadways and other paved surfaces. Tomeu's son, Enrique A. Tomeu, took over the company in 1980 with a goal to expand statewide and develop sourcing and transportation solutions for a wider range of construction materials and agricultural products. Siboney purchased a rock quarry in Dade County along with several fill pits throughout South Florida. Tomeu ventured into site development and opened an affiliated company called American Asphalt -- a major asphalt producer and paving company serving the Central Florida region. 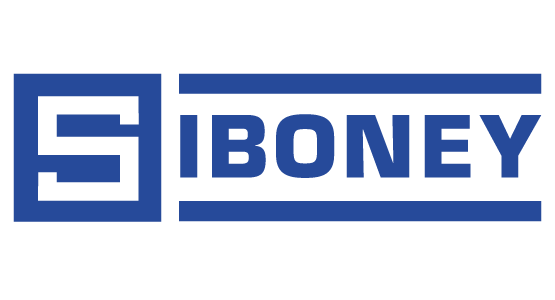 To address Florida's rapidly increasing demand for cost-effective material transportation, Siboney decided to sell its trucking assets and create a statewide transportation network utilizing independent carriers and owner operators. A skilled logistics team was hired to coordinate the operation, and Siboney became known statewide as a one-stop transportation solutions provider. The company opened offices in Orlando and Tampa. In the aftermath of Hurricane Andrew in 1992, Siboney diversified operations further, providing up to 1,000 hauling units per day to transport hurricane debris to reduction facilities. Four months later, they hauled the processed debris to a landfill in Broward County, transporting 30,000 tons per day. In 1996, Siboney joined the Hurricane Fran recovery effort, removing debris along the southern coast of North Carolina. Siboney has continued to provide natural disaster clean-up services when called upon, including Hurricanes Wilma (2005), Gustav (2008) and Ike (2008), the Alabama tornadoes of 2011, and most recently in the wake of the damage caused by the Northern California Wildfires. By 2000, Siboney had divested its interests in site development and the paving business to concentrate solely on providing new material sourcing and transportation solutions for its customers. Siboney increased its presence in Florida and along the Gulf Coast region, adding representatives in Jacksonville and New Orleans, and creating relationships with major shipping terminals and aggregate producers. When load requirements became impractical for trucking, Siboney created a relationship with barge operators capable of shipping materials by water. Tomeu crafted a partnership to open a terminal at the Port of Cape Canaveral to offload and distribute aggregate materials. The company further diversified into the transportation of new materials such as lumber and steel, refined sugar, corn and fertilizer. Siboney expanded its debris removal services to include construction and demolition debris, as well as land clearing debris and vegetative removal. Siboney has continued to grow and currently serves customers nationwide, stretching from California to the Carolinas. Siboney prides itself on its ability to mobilize anywhere, anytime at a moment’s notice and is continually expanding and adapting to meet changing market conditions and customer demands.